The Historical Museum offers guided tours of Bay City’s City Hall on the second Friday of each month. Tours begin from the lobby of the Historical Museum at 11:00am. Space is limited to first 20 individuals. 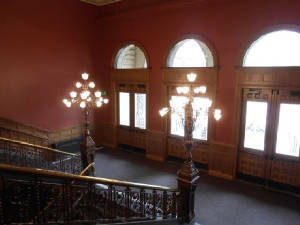 Tours of City Hall may also be scheduled for groups of 10 or more. The Museum also offers special curriculum-related programs for school groups. For more information contact Corrine at (989) 893-5733.